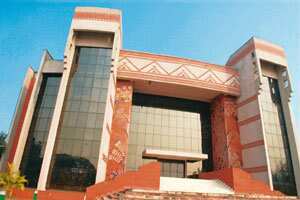 Kolkata: At least 30 first-year students at the Indian Institute of Management, Calcutta (IIM-C) will intern at three investment banks next summer, signalling a turnaround in the financial sector, the premier business school said on Wednesday. The first day of summer placements saw Royal Bank of Scotland (RBS) selecting 11 students for internship. “As many as three leading investment banks made offers in double digits," IIM-C said in a statement. It declined to name the recruiters. Summer placements are important for management students because many of them are eventually offered full-time jobs by the companies with which they intern at the end of the two-year course. “Markets are turning around," the IIM-C statement said. “The absence of Lehman Brothers wasn’t felt." The institute declined to specify the total offers made on Wednesday. India’s business schools were hit by the global financial crisis and the absence of Wall Street recruiters in the final placement season of 2009, when graduating students find full-time jobs, despite a good summer placement season in 2008. “Placements have been good and students are very happy," said Rohan Mahajan, an IIM-C student who interacts with the media. On Wednesday, 80% of the offers were made by financial services firms, he said. The remaining offers were made by consulting firms such as McKinsey and Co., Bain and Co., Boston Consulting Group and AT Kearney, which made three-five offers each. Average stipends offered this year “should go up, but we don’t have the figures yet", Mahajan said. At least 400 students are trying to secure internships and it would take about a week to place them, IIM-C professor and chairman for placements Prafulla Agnihotri had earlier said. The summer placements at IIM Ahmedabad have started off well, it said in a statement on Monday.